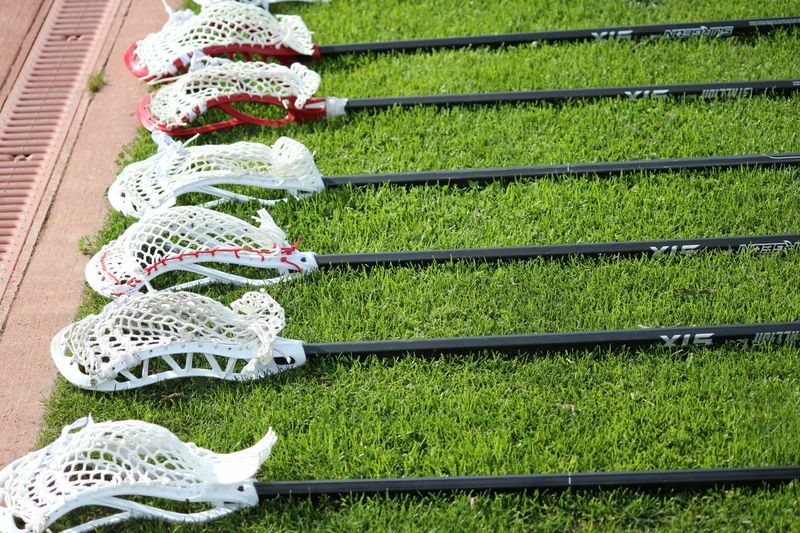 Do you know the most essential lacrosse workout? The greatest lacrosse players of all time have spent THOUNDSANDS OF HOURS playing wall ball. 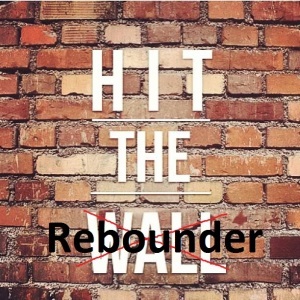 But sometimes it can be difficult to find a solid brick wall to pass back and forth on. 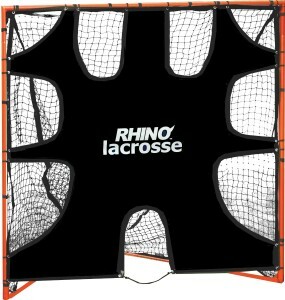 There is an awesome invention called a lacrosse rebounder. 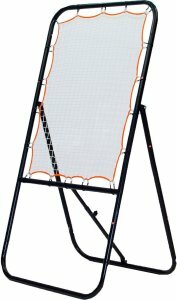 For around $150 dollars, you can have a portable, folding rebounder lax net. Thousands of satisfied lax parents, coaches, and trainers have purchased a lacrosse rebounder for their backyard or practice field! How Big Should the Lacrosse Bounce Back Be? Can I Angle the Lax Wall? Can I Store the Lacrosse Rebounder? A high quality lacrosse rebounder will get you through multiple seasons of lacrosse. After you invest in one of these lax walls, you won’t have to worry about trekking to the nearest brick wall to work on your stick skills. Each of these products come with instructions to make assembly a breeze. With their sturdy steel frames, (like Lacrosse Goals & Nets) some of the best lax walls are even foldable and portable to make training possible anywhere. 1 – How big should the wall be? Most lacrosse rebounders are made with steel frames so that they last as long as possible. 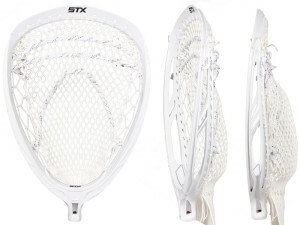 You might end up paying a steeper price for a name brand lax wall like Brine, but a newer brand pitch back like Predator or Gladiator will do the job for half the cost and all the same features. You might want to consider size an important factor when buying your lax wall. Most feature the same size mat, which is 4’ tall and 3’ wide. The mat sits at the top of the frame, which is at stick height for when the player is passing or shooting. 2 – Can I angle the lax wall? You might want to practice different skills, so some are adjustable and can be angled to different spots. If you want to work on more than you can with just a pass back, look for a rebounder that has adjustable angles. That way, you can work on your ground balls, perfect passes, and pick off some high passes as well. 3 – How about storing the wall? If you’re playing in a smaller area, like a backyard, you might want to make sure your lax wall can be easily stored. The ability to fold flat makes the lax wall even more valuable, so you can store it in the offseason. A heavy-duty, primarily nylon mat with bungees to attach to the steel frame holds up in the harshest climates, and continues to return the ball to you with the same speed you throw it at. 4 – Will the frame last? The best lax wall you can buy is the one you will use time and time again. Investing in a lax wall with stainless steel poles and parts and good reviews by other users is a great place to start. The reason these are the best lacrosse rebounders are because you can answer YES to all of the five questions above. We highly recommend going with a quality lacrosse bounce back like one of these lacrosse pitch backs! The EZ goal lacrosse throwback is the most uniquely structured that you can buy. It doesn’t have the typical A frame, but has the smaller triangular frame at the base. It's the best lacrosse rebounder you can buy. Still constructed from steel, the frame adjusts so that you can not only play with different angles to work on different skills, but you can also store it flat when you are not using it. The mat size is the largest we will see with all of the lax rebounders, at 6’ high and 4’ wide. It’s a much bigger surface, which allows for different types of skill work. 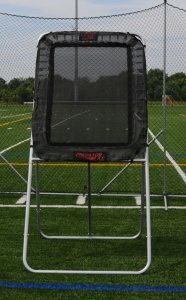 Getting great 4.5 star reviews, players love this lacrosse rebounder at just under $$$ on Amazon. 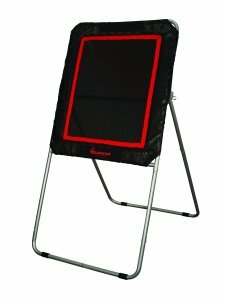 The Gladiator lacrosse rebounder is about the norm. 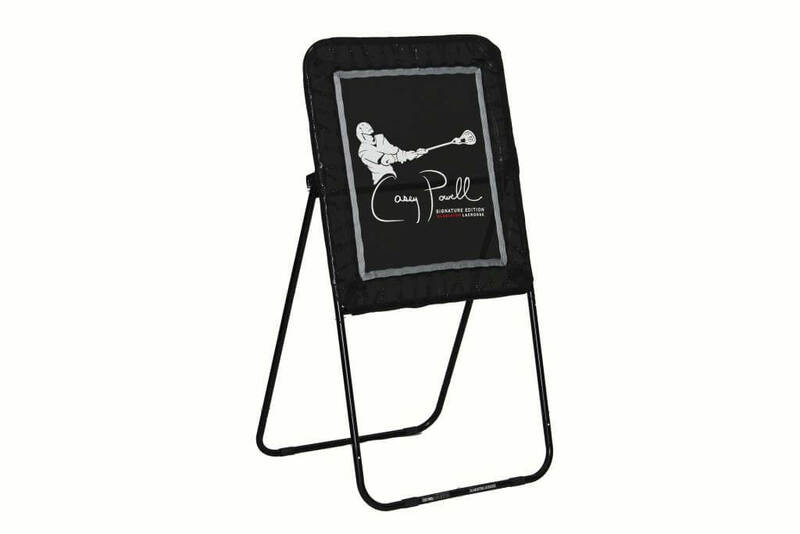 The mat is constructed with nylon and cotton to allow for the ball to return at the same speeds you are throwing at, and is the average size at 4’ tall and 3’ wide. The A frame is constructed from steel pipes which are adjustable and can be angled for different skills, yet folds flat to be tucked away when not in use. Gladiator rebounders are a cheaper brand of lacrosse products that still stands up to the test of the players that use it. For sale for just at $$, it’s a cheaper product that will not only get the job done, it will hold up as well as deliver exactly what you are looking for. By far the most expensive lacrosse rebounder on the market, the Brine lax wall sits at $$$. Though it sits at a steeper price than its counterparts, the Brine model has also been deemed to have the most quality into its design. It is made with heavy-duty, aluminized steel pipes for its A frame with notches for different angles. 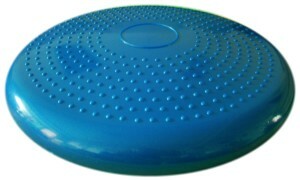 The bottoms also have rubber feet, ideal for the frame to stay in place if playing on concrete or flooring. Definitely the cheapest option thus far, the Champion Sports Deluxe Lacrosse Bounce Back gets 4.5 stars at only $$. The steel frame is adjustable for a variety of angles and also folds flat to store. 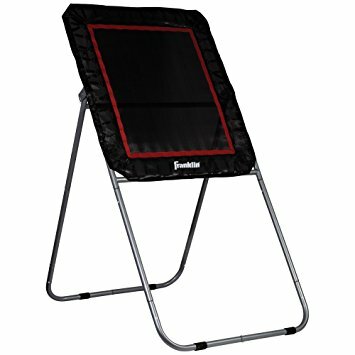 Its purchasers agree that through a cheaper option, you shouldn’t have to overpay for a brand name rebounder and suffer through poor quality, and almost all of these purchasers were happy with their purchase! Most agreed that the product is heavy, and difficult for younger kids to maneuver on their own, and it is also loud. The springs, though the right amount of taut in order to secure the mat to the frame, rattle noticeably more than its more expensive counterparts. 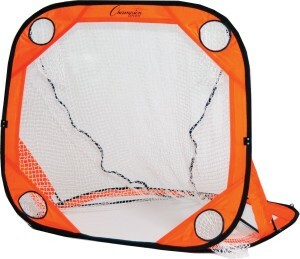 This lacrosse rebounder comes with all the bells and whistles. Another Gladiator product, the designers teamed up with the guru himself, Casey Powell, to create this limited edition lax wall. The mat surface is 4’ by 3’ nylon on a steel frame that has been dampened so rebounds are cut to a minimum. Any lacrosse player would benefit from the use of this lacrosse bounce back, seeing as it also comes with a training guide designed by Casey Powell in order to get the maximum benefit from the work you are putting in. The limited Casey Powell Edition of the Gladiator lax wall sits at $$$ on Amazon. The Predator lacrosse rebounder, designed to be a cheaper alternative to the likes of Brine, STX and Warrior, gets decent, yet mixed reviews. Some purchasers claimed the frame did not fit together well or that the screws were stripped. Others claimed their product was in perfect condition and that they were happy with getting a great product for a steal at only $$$. The mat is 4’ by 3’ and offers adjustable angles. There is little information about the quality of the steel frame, but reviewers claim it was easy to assemble. 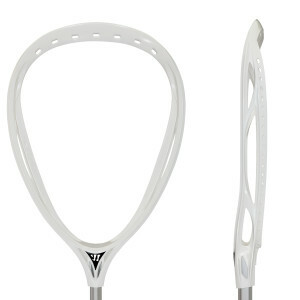 While there was some consensus about the ‘tightness” of the mat, the Predator lacrosse bounce back is a cheaper option of the very coveted lax wall. 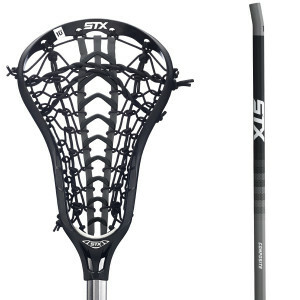 Though the STX rebounder is a name brand lacrosse item, several reviewers claimed that they had issues with the mat straps breaking and some of the welds cracking. Nevertheless, this gets 3.5 stars at a steeper $$$. Seemingly pricier because it has the STX name, this product measures 4’ by 3’ and is constructed with a steel frame that can shift to different angles as well as flat. The mat also is outlined in orange for a targeted area. The Franklin Sports Rebounder is another off-brand lax wall that stands up to the tests of critics. It is heavy, which is good for the tests of high winds but also doesn’t offer much portability. This lax wall gave some reviewers a hard time, as it didn’t come with instructions, but that didn’t stop the product from getting 4.5 stars at $$$. The mat is 4’ by 3’ and comes on all weather steel constructed pipes that adjust to various angles, including flat. Alright, so we were a bit skeptical of even adding the cheap lacrosse rebounders on this list, because they honestly are just pretty crappy. In most cases you can only answer YES to 2 or 3 out of 5 of the key questions to ask when buying a lacrosse bounce back. Unless you are on a super tight budget, steer clear of these lacrosse pitch backs. 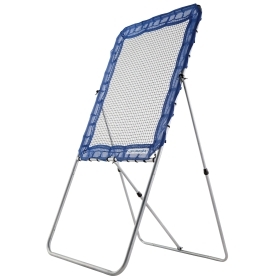 This Champion rebounder is a little different than the ones we have primarily seen. It is designed with a nylon mat that is clear, more like netting rather than a trampoline style mat. It still measures 4’ by 3’ and has a steel A frame construction that folds flat. It only gets 3.5 stars, presumably because of the unpredictability of the mat, reviewers say. The large holes in the netting cause the ball to return to the player in an unpredictable manner, which would not be very good for a beginner who is just learning to pass and catch. At $108, there may be better options. The design of the STX double sided rebounder allows it to be utilized on both sides. It has adjustable angles to allow for different drills, however the most useful angle would put only one side to use at a time. The netting surface is 5’ by 3’, but the netting reaches to the ground, somewhere the lacrosse player shouldn’t be passing to. Assembly was claimed to be difficult to most reviewers, and the bounce at which the ball comes back to the player was not at full speed. 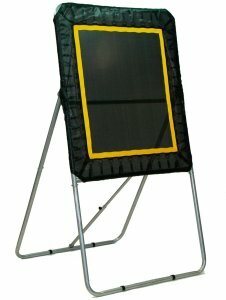 Still receiving 4 stars, the STX double sided training rebounder can be purchased for $118. Guys, let me start out by saying we do not recommend this PowerBolt Lacrosse product! Yes, it may be the cheapest you can buy, but it's not sturdy, tends to come with missing parts, and rips and tears very easily. If you read any reviews online, you'll find this lacrosse pitch back usually gets 2 out of 5 stars. Yes it's one of the cheap lacrosse rebounders so it won't kill your wallet, but it's worth spending a little more for higher quality. 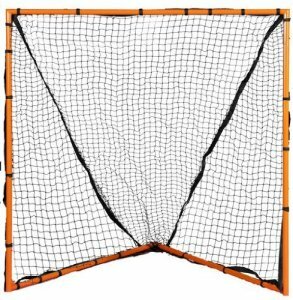 If you have a broken lacrosse rebounder net, want to cover your lax wall during the winter, or want to improve your passing accuracy then we've got you covered! 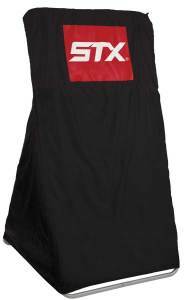 The STX Outdoor rebounder cover is just that, a cover for your lax wall. It is designed to universally fit most bounce backs, which is a plus. Made from 100% polyester, the cover will help protect your rebounder from the elements, lengthening the time you can use it without worrying about straps and bungees breaking. 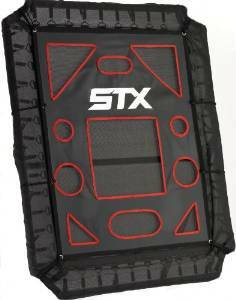 Customers gave this STX cover 3.5 stars at $50. The STX Bounce Back Pass Master Cover is a great way to begin to fine tune your accuracy when passing or shooting. Clearly marked with orange targets, the cover slips over your existing rebounder and now gives you the ability to shoot or pass to clearly marked targets. Working on accuracy while on the run and thinking about rebounds is clearly the goal of the cover. The cover is secured by a bungee that loops around the back of the rebounder and universally fits most with the same 4’ by 3’ mat and frame. Only $ on Amazon, the cover gets 4 stars and can help turn an average lacrosse player into a star in no time. Does anyone know the answer? Well we've heard a lot of names for a lacrosse rebounder; Lacrosse bounce back, lax wall, lacrosse pitch back, and lacrosse throwback. All of them serve the same purpose; To throwback the lacrosse ball to you after you pass it—They are all the same thing! If you ask any professional laxer, they will tell you that playing wall ball to practice their passing skills was one of the most important trainer drills they did to elevate their game–Practice makes perfect! Now if you cannot find a great wall to play some wall ball at or you just want the convenience of passing in your own backyard, then we highly recommend investing in a lacrosse rebounder to setup in your backyard in 2014 and beyond. We are so happy to announce that we have sourced and shipped over our own Lacrosse Rebounder. For now, it is only $99.99. Please check it out and give me feedback! Having the best lacrosse helmet is the only thing standing between you and a career-ending injury. You NEED to get this purchase right. Lacrosse is a very rough game which requires protection at all stages. Having a helmet is crucial as it protects from head injuries and helps focus on the game without worrying. Plus, being a full contact support that can result in serious injuries is why you need the perfect head gear that will keep you safe at all times. We've put together this buying guide to review everything you need to know when buying the best lacrosse helmet. If you want a good bucket for your noggin, your best bet is to stick with the two companies that have consistently been making the best lacrosse helmets. 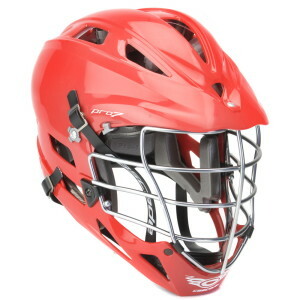 We recommend Warrior lacrosse helmets and Cascade lacrosse helmets. Cascade has been making lacrosse helmets the longest and have a relatively good track record with the stuff they put out, like the Cascade R helmet, CPX R helmet, and Pro 7 Helmet. Style – Helmet color, facemask color, decals, visors, wraps oh my! 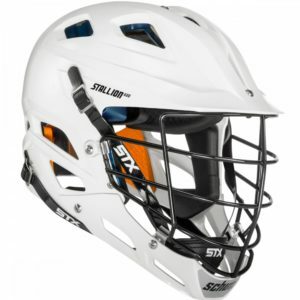 STX released its first STX helmet this season, the STX Stallion helmet, and time will tell if it will be a performer. But before you throw down serious cash for a lax helmet, read this guide to see which factors you should consider when you start looking, what the best lax helmets are, and where to buy them! Also, we'll show you how to style your lax helmet with lacrosse helmet decals, lacrosse helmet wraps, or a sweet lacrosse visor! The increasing popularity of lacrosse means that players are getting bigger, faster, and more competitive than before. If you want to run with the best, it's important to wear both a safe and good lacrosse helmet. Concussions are no joke, and you’ll need to keep your head on your shoulders if you want a shot at playing long-term. And if you're a goalie, making sure you add a throat protector to your lacrosse goalie helmet. The National Operating Committee on Standards for Athletic Equipment (NOCSAE) is the gold standard for assessing the smash-worthiness of any helmet that goes on a player’s head. 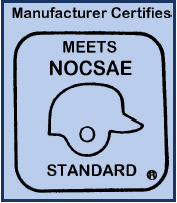 Don’t screw on a helmet until you see that it has a NOCSAE logo on it. That means it’s passed a battery of tests to prove it can withstand the abuse you’re about to put it through. For a full explanation of NOCSAE certification issues with Warrior and Cascade. Lacrosse helmets are designed in a way that they have several components. These components will help you decide whether the helmet is good or not. 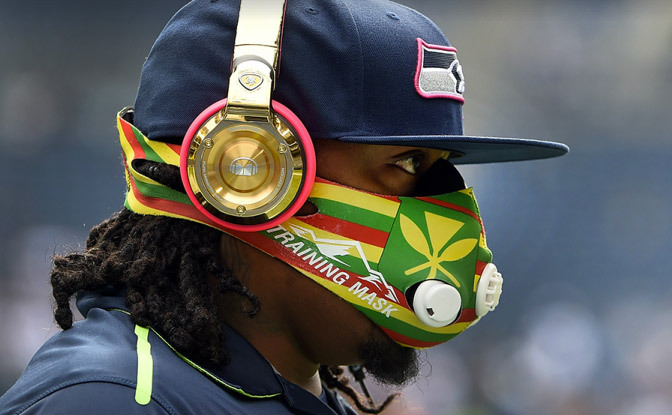 Some of the components include shell, facemask, chin bar and chin strap. Is the shell lightweight yet strong? Does it have ventilation holes? These are some of the questions you need to keep in mind when making the purchase. Get the right fit and it will go a long way towards keeping your egg safe. Everyone’s head is shaped a little differently and sometimes one lacrosse helmet will just fit better than the other. Try the helmet on before you throw your money down. Finding the right helmet is crucial if you don’t want to mess up your game. Most helmet models are available in different shapes and sizes and come padded to provide maximum comfort. You might like the look of one but find that it doesn’t fit quite as good as you’d like. Some players don’t know how to wear a lacrosse helmet and end up looking out the wrong hole of the lax facemask. Second bar syndrome is a sure way to spot a noob on the field. 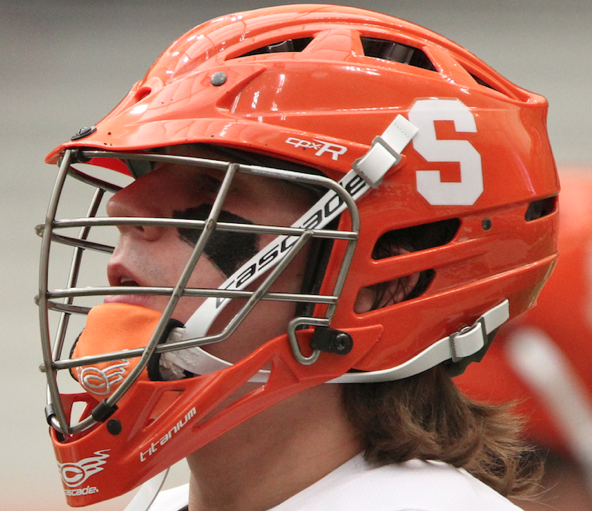 Most seasoned players know how to sport lacrosse helmet tilt correctly, but here’s a refresher in case you forgot. If you’ve got the helmet too high, you’re gonna look real dumb and you’ll be exposing your neck to potential injury. Too low and you won't be able to see very well. Wearing your helmet any other way than how it was intended means you’re not getting the full protection your helmet was made to provide. Check your helmet’s manual and adjust the straps accordingly. If you’re looking out the wrong hole, you’re putting yourself at risk for some serious hurt. A lot of time and money went into getting these things designed right. Don’t screw it up by wearing your bucket the wrong way. If you have to look up to see straight, your bucket is too low on your head. 3. 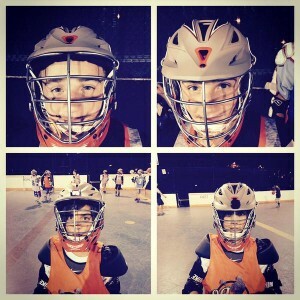 Style: Making Your Lacrosse Helmet Look Cool! A lot of the culture behind lacrosse has been built by the promotion of custom lacrosse gear. Lacrosse helmets are some of the coolest pieces of equipment for any sport, and rocking a dirty bucket is your right as a laxer—unless you need a high school or college lacrosse helmet. Then hopefully your team has a cool lacrosse helmets color scheme. Just make sure you’ve got the skills to back it up if your lax helmet looks cool, because everyone will be expecting it. If you need a high school lacrosse helmet, chances are there isn’t much freedom in the style department. High school regulations for lacrosse facemask color and color uniformity are the strictest of any level of play, and chances are your lax helmet is already picked out. Check with school's athletic director or coach to see if they have pre-selected which standard or custom lacrosse helmets your team will be using. Finding comfort with an appealing design can often be tough which is why when selecting the helmet make sure that the helmet meets all requirements. However, for tournament play you can go all out and you can wear any lacrosse helmet accessories your heart desires! Check your tournament rules, but there usually aren’t many restrictions to the amount of customization you can bring to your look. This is where custom lacrosse helmet decals, lacrosse helmet wraps, custom lacrosse facemasks, matte finishes, and sick color schemes make their debut. 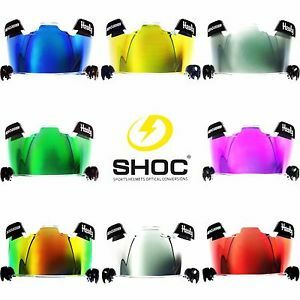 Some helmets lend themselves more to customization and give you a wider array of options out of the box. Others are a bit more straightforward and give you the standard color options. The helmet that you pick will determine the options for the look you want to represent. Be sure to checkout our lacrosse helmet customizations section below! Of course in womens and girls lacrosse, only goalies wear girls lacrosse helmets. Otherwise they wear lacrosse goggles. Cascade helmets, warrior helmets, and STX helmets have been around since the beginning of lax and have played a huge part in getting the game to where it is today. We recommend all of the lacrosse helmets we detail below! This is because rules for girls and boys differ. Things can really get messy in a boys lacrosse game, however the case isn’t the same for girls. Cascade helmets have been the leader for a long time and is a popular choice for lax players. Cascade lacrosse has been making lacrosse helmets since the 80s, and it’s has been the official helmet of the MLL since 2000. The custom lacrosse helmet options aren’t as varied as with Warrior helmets, but the Cascade look has stood the test of time. It’s a classic look that gets better every year, but there aren’t many options to stand out. Adding Cascade helmet decals might add some personal flare to your look, but overall you’re limited to a stock color unless you’ve got connections and can place a custom order. Cascade lacrosse helmet sizing chart runs true to size. This Cascade lacrosse R is the flagship lax helmet. The custom R lacrosse helmet is the one you’ll see on all the MLL players this season, and is also the official Syracuse lacrosse helmet and unc lacrosse helmet. It’s got the latest developments from Cascade’s R&D department wrapped up in a nice looking package. 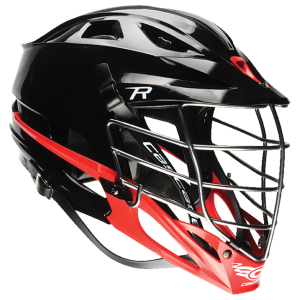 The lacrosse R helmet has a double liner that protects from two types of impacts. The SevenTechnologyTM liner is designed to minimize high-energy hits while the PoronXRDTM foam liner helps with low speed impacts. And the newly designed chin piece extends to the ear to provide extra protection there and allow awesome Cascade r custom options. Anyone who's taken a shot to the ear knows what a huge improvement this is. A monoshell also means the Cascade R helmet has a more rigid build and provides extra protection from big hits. Depending on your teams needs, you can get a custom Cascade r as well! The product is liked by the customers who have given it a high rating and stated that it is as good as it is advertised. It can be customized according to the need and is lightweight as well as comfortable to wear. The Cascade CPX R lacrosse helmet has been a favorite (and affordable) helmet for years now. Another late model of a Cascade lacrosse helmet, but still a very strong contender for the top spot in helmets. The Cascade CPX R introduced the SPR fit, which gives the helmet a firmer grip on your dome. And some might argue the Cascade CPX R helmet is still one of the best looking helmets on the market today. 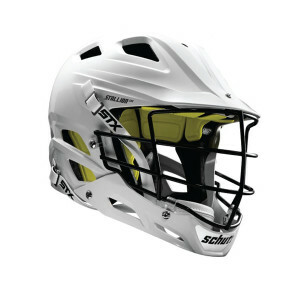 Because of the Cascade CPX-R lacrosse helmet's long profile, it will give you an awesome looking tilt. 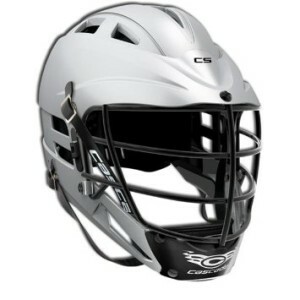 As one of Cascade's best lacrosse lacrosse helmets, you'll love the Cascade CPX lacrosse helmet! Customers who have used the product have found it to be strong in terms of the making. To match style with safety and comfort choose from the 3 color options available. The Cascade helmet of yesteryear. 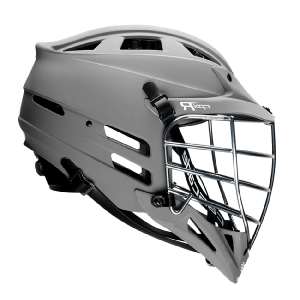 The Cascade Pro 7 helmet was Cascade’s first attempt at fusing the lacrosse visor to the shell of the helmet for a more rigid frame, with some pretty good success. The improved rigidity gave players the added protection they were looking for. And they look pretty darn dope. The Cascade Pro 7 lacrosse helmet is the second best helmet Cascade has ever made. You can't go wrong scooping this or the r lacrosse helmet up! The Cascade Pro7 helmet is a step up from the Cascade CLH2 lacrosse helmet. This piece is the perfect blend of technology, reliability and a lightweight design. Making use o Cascade’s Seven Technology, the pro7 is always impact ready with a sizing system that gives a one size fits most helmet. 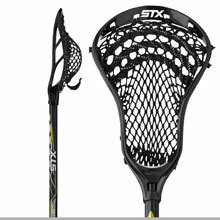 STX has been in the lax game for a long time and it puts out good stuff every year. 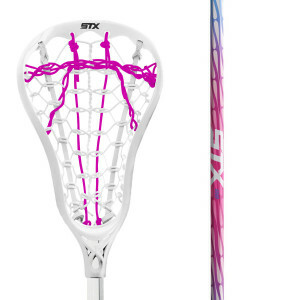 This season is STX’s first attempt at a helmet and it looks promising. For its first shot at a lacrosse helmet, STX has teamed up with Schutt—a company with a proven record making football and baseball helmets. The Stallion 600 features Schutt's protective technology wrapped with STX's styling. The STX Stallion 600 lacrosse helmet offers quite the spread in the way of customization. With 13 different design schemes that you can customize lacrosse helmets with your own colors, it'll be easy to create the exact look that suites your style. You can also choose a custom lacrosse facemask color and upload your own logo that STX will print on the helmet before it's shipped to you. The STX Stallion 600 employs the relatively new D30 technology used in a lot of motorcycle and law enforcement gear. The inner D30 padding hardens on impact, which allows for a more comfortable fit without compromising protection. What customers most like about this product is its sight-line. It is a lightweight helmet that provides comfort and protection side by side. 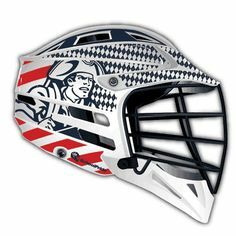 Warrior may not have been around the longest, but it offers impressive gear and its lacrosse helmets have some solid designs. There are far more options for color schemes and Warrior hydrographic helmets let you bring even more swagger to the field right out of the box. You can't go wrong with a Warrior helmet below. This is the latest offering from Warrior lacrosse helmets, and is actually the official Duke lacrosse helmet. 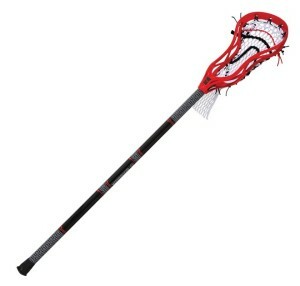 It combines the most recent lacrosse technology with an updated design. 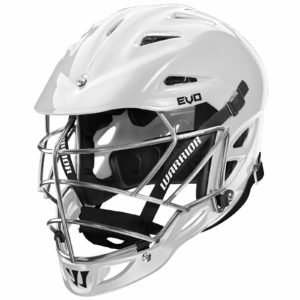 The Warrior Evo helmet uses Warriors' Viconic EAS technology for its inner lining to protect the head from impacts. It comes in two shells sizes to ensure you've got the right fit. If you want the best from Warrior, this is the Warrior helmet you want. And in case you enjoy the Warrior Regulator collection as much as we do–You can checkout the full Warrior Regulator collection review right on over here–come on now, don't be shy! The product is easy to put on and take off. It is comfortable and perfect for use during practice sessions or for tournaments. If you’re shopping for a young player who is relatively new to the game, it would be worth checking out youth lacrosse helmets. These relatively cheap lacrosse helmets offer you the same great protection at a reduced price, so you don’t have to drop $300 for your kid to decide he doesn’t like lacrosse. And if it turns out he’s a stud, then you can upgrade him to the elite models. Here are the most popular youth models out there. The Cascade CS youth lacrosse helmet is designed specifically for laxers under the age of 12. The Cascade CS youth helmet is the ultimate beginner helmet. But it's good for just that–beginners! The protection is medium, and isn't meant for more advanced style of play. For more advanced middle school or high school lacrosse helmets, we recommend checking out other Cascade youth lacrosse helmets. With this helmet on you no longer need to worry about your kids getting injured as it is among the best being sold in the market. Most youth lacrosse players over 8 should consider stepping up to the Cascade CPV lacrosse helmet or the CPX lacrosse helmet! As mentioned above, STX lacrosse helmets teamed up with Schutt to design Grade-A boys lacrosse helmets. And the STX Stallion 100 youth lacrosse helmet is a fantastic option for all youth lacrosse players. When other youth lax helmets were found to be uncomfortable and unprotecting, the STX Stallion 100 youth lacrosse helmet has set a new bar in the lacrosse helmet world. EVA and EVP liners and padding make it super comfortable and strong. The adjustable jaw pad allows for a perfect fit on this STX lacrosse helmet. Scope up the STX Stallion 100 Youth lacrosse helmet today and you definitely will not be disappointed! What’s better than having headgear that you can customize based on your own requirements? Not much else. Customization helps add the features you are looking for allowing you to focus better. You usually can't get a lacrosse helmet with visor, so you must install your own. And lacrosse helmet visors make you look cool. But are they legal? Checkout our full post on lacrosse visors, which will give you valuable information like what the rules are and how to install one. Quick hint, we recommend the Oakley lacrosse visor, which take some slight modifications to install on your lacrosse helmets. Also, be aware that the NOCSAE does not allow tinted lacrosse visors, it's against the rules! Depending on what your team colors are, lacrosse helmet decals might make sense for you. You can buy practically any color of helmet decals lacrosse has to offer, and it will definitely enhance your style. You can buy a classic sticker for your lax helmet, or you can buy the more traditional Mohawk lacrosse helmet decals, and you can also buy a back panel decal to match. Ultimately you can place lacrosse helmet stickers on anywhere, and Cascade lacrosse helmet decals look dope! Lacrosse helmet wraps are styled adhesive you place on your lax helmet. Just like with lacrosse helmet decals, whether your rock a lacrosse helmet wrap during your games will depend on the team you play for. During most lacrosse tournaments, anything goes. But be fully aware that either your lacrosse league or lacrosse team allows specific lacrosse helmet wraps. Consult with your coach to find out if your team is using a lacrosse helmet wrap, and where they purchased them. You can check out HeadWrapz.com to see what wraps they offer! Box lacrosse players use a different kind of helmet to meet the needs of the faster, more aggressive variation of the game. These guys buy a hockey helmet and slap a box lacrosse facemask on it to get better vision. These players operate in tighter spaces and have to be ready to catch passes in a lot of traffic. Having the extra vision to see those feeds on a busy crease gives them an edge over someone who might be wearing a field lacrosse helmet. We recommend the Gait lacrosse helmet face mask, and then strapping it onto a hockey helmet! Picking the right lacrosse helmet is going to be determined by how much you like the fit and what kind of style you're looking for. Most of the lacrosse helmets on the market are going to keep your head protected as much as it can be. NOCSAE makes sure of that. Just make sure you don't buy an outdated Easton lacrosse helmet. And unfortunately you can't even purchase a Brine lacrosse helmet or Riddell lacrosse helmet. In the end, the best thing you can do is try on some old lacrosse helmets or used lacrosse helmets. Try a friend's lax helmet on for fit or go to a lax shop and take a look at the different products they've got before you buy one. You'll be able to tell if a lacrosse helmets cheap or not. All these helmets protect your head, but the differences in fit and style can make an impact on how you play. Lacrosse goals can be expensive. You want to make sure you get this purchase right. Otherwise, you will be stuck with a good-for-nothing goal post. And if it costs you a lot of money, you are sure to have some major regrets. Following the directions in this buying guide will get you the exact lacrosse goal you need, at the lowest price! We've compiled a complete list of all of the best lacrosse nets and lacrosse goals for sale from Amazon! Buying from Amazon is always a wise choice as you can bag some amazing offers here. Also, the returns and exchange option is a huge plus. 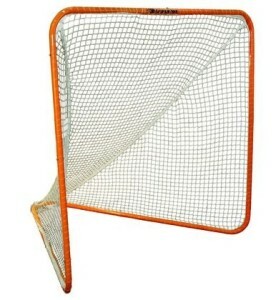 And once you choose your new, slick orange lacrosse goal, be sure to choose the best lacrosse backstop for your needs! The complete list of all of the best lacrosse goals for sale is split up into THREE sections, which we've labeled below so you can easily find what you are looking for! How big or tall is a lacrosse goal? 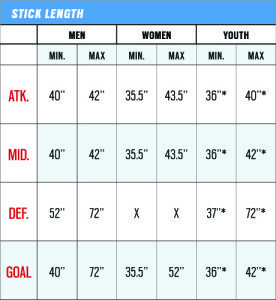 First off, let's make sure you know what the correct size of lacrosse goal you need. Regulation lacrosse game goals sizing and dimensions are a 6 x 6 lacrosse goal. It is essential that you get the correct goal size if you are going to practice with it. Practicing with a smaller or a larger goal with totally put you off when you are playing in the actual game. Get your dimensions right! It is important to know the difference between the two so that you can make the right choice when buying one. You do not want to end up with a heavy and thick goal if you just want to practice. It will just be inconvenient and costly. 3. Do You Need a Folding Lacrosse Goal? 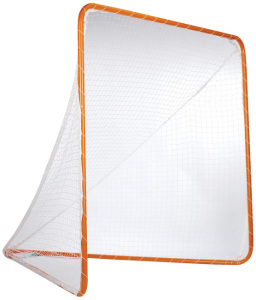 Just like with a lacrosse rebounder, having a folding lacrosse goal is one very handy thing. Having portable lacrosse goals that folds up allows you to bring your lacrosse goal anywhere. 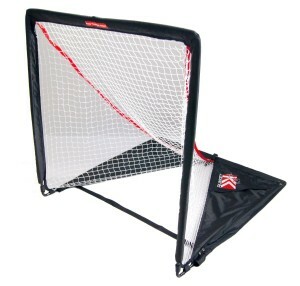 For example, if you are a lacrosse coach, you should totally invest in a folding lacrosse goal. It will be so much easier for you to transport the goal around the field. Also, DIY lacrosse goals take a lot of time, resources and skill. Instead, if you search in the right places, you will be able to find a goal at a reasonable price. If you make your own lacrosse goal, it will be cheap PVC lacrosse goals made of piping that will break quickly. Spend your time and money investing into a top of the line lacrosse goal that will last! Alright so this section is split up into 5 categories to better help you navigate to the type of lacrosse goal you are looking for. By now, you should have decided on the type of lacrosse goal you want and the features you need, like is it foldable or is it regulation lacrosse goal size. 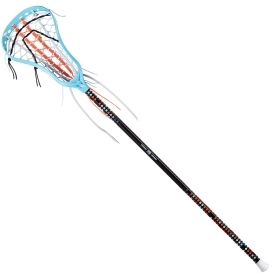 We recommend all of the lacrosse goals we list under the best lacrosse goals for sale section. So find one that suits your needs and price, and have it shipped to your door! 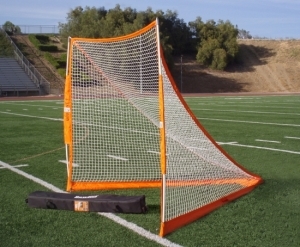 As mentioned above, the main difference between an official lacrosse goal size and a lacrosse practice goal is lacrosse practice goals are collapsible, portable, and lightweight! 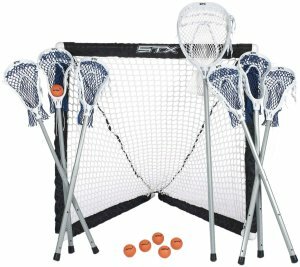 Most lacrosse practice goals these days are made to easily fold and transport around your backyard or around the practice field! Keep your eye out, as in each lacrosse goal review below we will dictate whether the lacrosse goal is portable and/or foldable. These practice goals are highly recommended as backyard lacrosse goals for shot training on those orange pipes! So this ssg practice lacrosse goal is an awesome option for your backyard lacrosse goal… or in the lacrosse crease! Just look at all of the positive reviews from Amazon. The only fuss point with the ssg practice lacrosse goal is their are metal stringing rods, which can difficult to put the lacrosse nets on. Otherwise, here are specs! This little inconvenience can be dealt with easily if you are skilled at putting net on the rods. If not, there are so many videos in the Internet to help you with that. 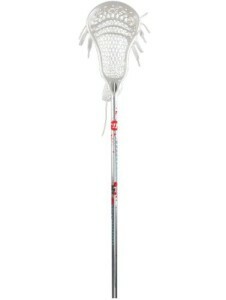 This gladiator lacrosse goal is definitely your best bet if you want a lacrosse goal cheap and easy. 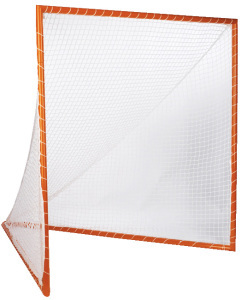 Made of 100% steel, this lax goal is always under $100 over at Amazon. Designed for backyard and training. This goal is quite a steal at such a reasonable price. To make things even better, it is rust proof. This means you do not have to worry about weather or oxygen ruining your goal over time. 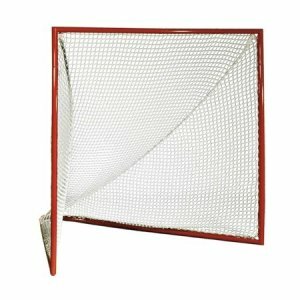 So the Champion lacrosse goal made it in the cheap lacrosse goals category because the engineers made this lacrosse goal for babies. Overall, the lacrosse goal frame is pretty good, made of steel and it's pretty sturdy. But the lacrosse net this goal comes with is complete crap. It's very thin, and it comes with velcro straps to hold it in place. A lacrosse shot of only 50 MPH knocks holes in this lacrosse net. Here are the specs for you below, in case you still want to buy it! This lacrosse goal is suitable for youngsters. You do not want a pro to practice with this goal if you want it to last. 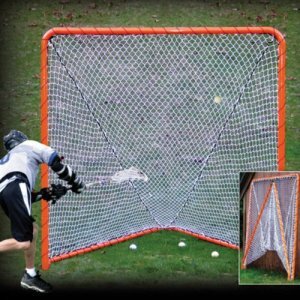 This Maverik Practice Lacrosse Goal is another excellent option out of all the lacrosse nets available. 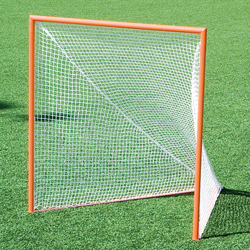 The Maverik backyard lacrosse goal is regulation size, lightweight, and a portable lacrosse goal. 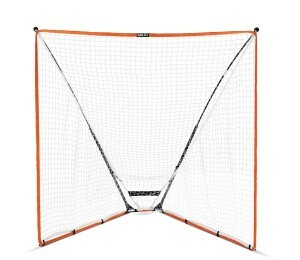 It also comes with a 4mm lacrosse net, very heavy duty for a backyard lacrosse goal. Sort of similar to the Powerbolt lacrosse goal. Maverik lacrosse goal has easy assembly! Everything about this goal is top notch, ranging from the strength of the net to easy assembly. Since it is portable, you can also transport it from your backyard to the field when practicing. There are many benefits to having a folding lacrosse goal. 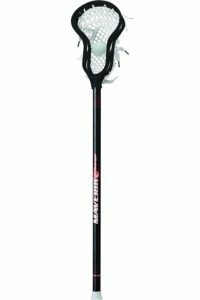 The most important is probably that it quickly turns into a portable lacrosse goal, so you can take it anywhere you like. Folding lacrosse goals allow you to quickly pack up your goal, bring it to another field, and move it around your backyard. This feature makes this goal popular with people who like to practice in different places. If you are at home, you can assemble it in your yard and simply transport it to the field for practicing, when you are there. Alright so EZ Goal has always provided some pretty awesome lacrosse goals in the past, and this folding lacrosse goal is no different! As just a lacrosse goal frame, the ez goal lacrosse goal is perfect. It's very sturdy, made of strong steel and is actual a portable lacrosse goal. 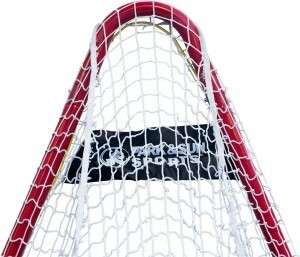 Our only fuss is the lacrosse netting for goal is pretty cheap. But for the money, this is one of the cheapest lacrosse goals, yet highest value you can get! Finding a good goal for this price is hard but EZ has done it. This SKLZ Quickster lacrosse goal is an excellent option for a lacrosse backyard goal! It has excellent reviews from across the web, and SKLZ as a brand always deliver with excellent products! 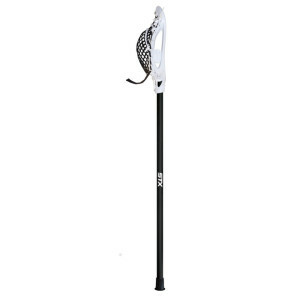 Here are the SKLZ lacrosse backyard goal specs…. So we were pretty skeptical of this bownet lacrosse goal. Bownet has come out with some pretty great lacrosse gear in the past, like their bownet lacrosse backstop. The reason we were skeptical is because it just looks flimsy. It doesn't use traditional steel poles like the other backyard lacrosse nets do, which was a cause for concern. Believe it or not, is an awesome lacrosse goal! It's a folding lacrosse goal, and also a portable lacrosse goal. Super easy to setup and takedown, all just in 5 minutes. Here are the specs…. Only weighs 25 pounds and setups up in 5 minutes! 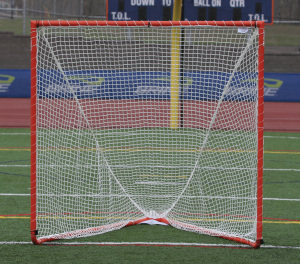 As mentioned above, official lacrosse goals are made from heavy duty steel piping that's usually 1.75 to 2 inches thick and have squared off welded corner pockets. The lacrosse goal netting for these goals is traditionally stronger and thicker, to withstand fast lacrosse shots, like Zak Dorn's. These goals are officially made for high school and collegiate lacrosse games. Despite the fact that it cannot be transported, this is one of the most popular goals from the company. The net, being super strong, can bear shots from collegiate and high school pros. Weigh an incredible 114 pounds! Following the proper NCAA dimensions, this goal is way too heavy to be transported anywhere. Not foldable, and weighs approximately 50 pounds, so you probably won't want to transport it too far. These lacrosse goals aren’t complete crap, but they definitely aren’t the best lacrosse goals for sale. We’d recommend reading the reviews pretty closely before buying any of these cheap lacrosse goals. But if you are strapped for cash, they could be a decent option for your kids and youth players as a cheap lacrosse goal. This Rukket RipIt! lacrosse goal makes for an awesome option for young kids just beginning into the sport of lacrosse. It easily folds down for you our your child to carry and transport it around. 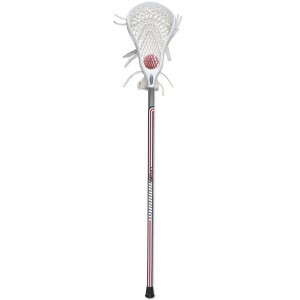 The flexible frame allows for great lacrosse shot impact, meaning it won't break on impact! Quite contrary to the view that youth lacrosse goals are not worth the money, this one has some notable features. With a decent price tag, this goal can be the perfect goal for your young one to kick start their lacrosse career. This Champion lacrosse goal is similar to the Rukket RipIt above….an awesome lacrosse goal for youth, kids, beginner laxers for training purposes. Also, coaches and advanced player love this goal to practice on in the backyard with some lacrosse mini sticks. You've come to the right place to research a lacrosse goal replacement net. Unfortunately, lacrosse nets tend to rip, especially if you have a fast lacrosse shot! Also, when practicing your lacrosse shot, having a lacrosse goal target to shoot at will increase your accuracy tremendously. 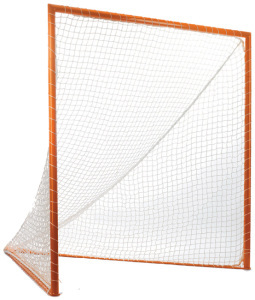 Lastly, you may be looking for indoor lacrosse goals or a mini lacrosse goal and we've got you covered! 0.7mm Anchor pocket to strongly secure the rear apex of the net. 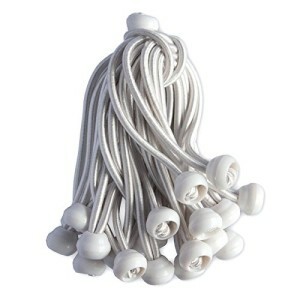 These are the best value for lacrosse bungees we found online. If you want strong lax bungee holders that are easy to fasten and hold for a long time, then these Predator ones are your best bet! You get a pack of 24 which will EASILY cover your entire lacrosse netting, whether you have 2mm, 3mm, 4mm or 5mm thick netting. At around $25, you can't find a better option. Staying in shape in the offseason is SO important for any dedicated lacrosse player. Having the lacrosse training equipment is just as important. Other than your lax stick of course, We’ve come up with some of the best tools on the market that can help you maintain your peak physique in order to dominate during the season. The game of lacrosse combines sharp hand eye coordination with power, finesse, and speed. In order to achieve all of these things, you’ll have to focus on your training in the offseason and year-round. 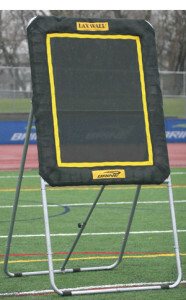 Our absolute favorite piece of lacrosse training gear has to be a rebounder. No questions asked. Why? Because practice makes perfect. And the best type of practicing you can do passing on your lax wall. It builds what's called muscle memory. If you do the same repetitive movement over and over again, you will train your muscles to do that movement on impulse. So if you practice passing on a lacrosse rebounder for an hour a day, over the course of a month your passes will be perfect, and you won't even think about how to pass on the field. It will just happen naturally. Use this piece of equipment to practice your passing and catching while becoming more familiar with your stick. For optimal results, try to aim for the same target on every throw. This will help focus on specific moves while improving the accuracy of your throws. To make this task easier you can add in a rebounder cover that comes with clearly marked targets such as the STX Pass Master. Get busy with some serious target practice to develop your accuracy when shooting or passing. 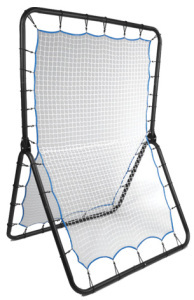 A lot of rebounders are portable, and setup easily. The best ones also come with options to angle the rebounder and can accommodate other sports such as softball and basketball as well. 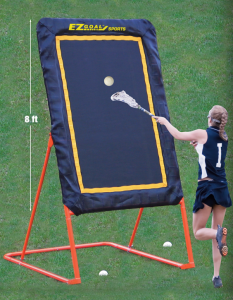 We recommend the EZ Rebounder….a great piece of lacrosse training gear! Okay so this little lacrosse training device is pretty darn cool. What you do is attach the strap to your lacrosse head. The strap is then attached to a lacrosse ball. 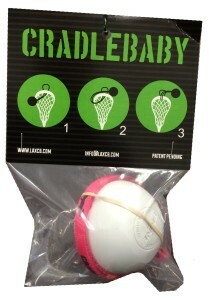 Now, you can cradle, pass, dodge and more (indoor or outdoors) without the lacrosse ball flying all over the place and breaking anything. This is perfect for younger players who are developing their cradling skills. It will let you walk around the house, practicing your cradles and dodges and perfecting them. Remember how we mentioned “muscle memory” above? Well that's exactly what the Cradle Baby is used for! This piece comes with a universal fit for both men and women to work on any shaft/stick/head and makes for a super easy way to get more repetitions. And when you practice indoors, there’s no danger of the lacrosse ball flying through the air and hitting stuff. Black Mountain has come up with the ultimate all-purpose resistance lacrosse training equipment– complete with bands, straps, and a case to put it all in. 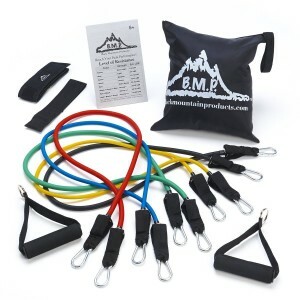 Since not everyone has access to a gym or fitness center, this Black Mountain resistance band set allows you to use your surroundings to your advantage throughout a lacrosse workout. You can work multiple large muscle groups with the bands, and even fine tune the smaller muscles as well. The exercise choices are endless, and you can work with a single band, allowing minimal resistance, and with multiple bands stacked you can add more resistance. You can even anchor the straps to a lacrosse stick to work on stick handling and shooting as well. While it’s one of the more multipurpose tools we’ve listed, it won’t cost you over $40 and there’s a lifetime guarantee on this lacrosse training gear. Made of superior quality synthetic rubber, the bands measure approximately 48 inches each, making them suitable for players who are tall, short and in between. You can vary the weights you want to work with and to make things just a tad easier, the weights are color coded. The set also comes with a door hanger letting you increase your exercise options, an ankle strap, an exercise chart and a case to carry and transport your bands. 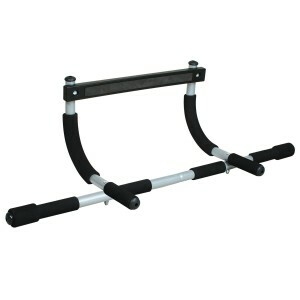 The Iron Gym is a tried and true tested piece of equipment, especially for lacrosse training gear. No actual gym necessary, the Iron Gym attaches to any door frame in your house and allows you to perform a variety of upper body and core workouts. The Iron Gym is a staple in the routine of many different fitness professionals due to its versatility in training and its ease in use for chin-ups, sit-ups, crunches, dips, and pushups. You can target large muscle groups essential to the game of lacrosse by training with the Iron Gym. Pushing and pulling are essential motions in lacrosse, with shooting, taking faceoffs, and holding your own against an opponent requiring your entire body to adapt. The Iron Gym can help you conquer these key exercises. This multi functioning strength training device can become your ultimate trainer in sculpting all muscle groups. Designed to work on all types of body weight exercise the Iron Gym is portable without the need for permanent fastening. Move it around from the top of your doorframe to put it on the floor and get the best of your workout. What better way to finish a workout than a health protein shake packed with vitamins, nutrients, and minerals to help you recover and build muscle? The Blender Bottle is one of the best lacrosse training equipment out there for protein shakes on the go. 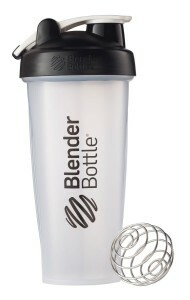 The Blender Bottle itself comes with measurement lines up to 20oz, with 28oz of room for shaking. The Blender Bottle also comes with a surgical steel grade whisk ball that pulverizes your protein powder and mixes your drink quickly and effectively. The flip cap and large mouth opening are easy to clean and pop into the dishwasher. The flip cap and large mouth opening are easy to clean and pop into the dishwasher. The adjustable loop allows you to hold more when your hands are full while the screw on lid prevents any threat of spills or leaks. Definitely a must for those fitness fanatics and lacrosse players on the go. Say bye-bye to lumpy protein shakes and usher in great tasting smooth drinks instead. 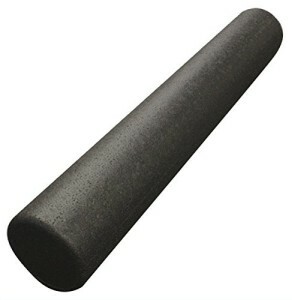 Foam rollers are becoming more and more popular in the lacrosse fitness scene, and for a good reason. Using your body weight, you can use the foam roller to apply pressure throughout different body parts in order to stretch, lengthen, and massage muscles. Foam rollers come in a variety of sizes, so you can store a 12 inch in your bag, while you can stock a 36 inch at home. Foam rolling helps alleviate tight muscles by doing just that; rolling your arms, back, legs, sides, and torso over the roller. Made of high-density foam, the roller elongates muscles and allows blood flow to help you cool down after a workout and stretch while your muscles are still warm. Foam rolling is key after a workout, conditioning session, and even a shooting practice, as it prevents injuries and keeps you loose far longer than just static stretching. A must have for your lacrosse training equipment! While the Fitbit might cost you a little more than you’re looking to spend, you won’t regret this purchase. 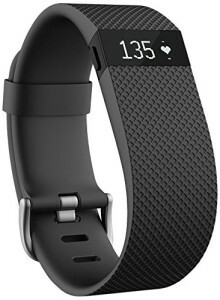 The Fitbit Charge comes with heart rate measuring technology, so you can constantly check on and track your heart rate to figure out which energy system in your body that you’re training. You can track your heart rate, workouts, steps walked, distance, calories burned, and even sleep patterns. The Fitbit Charge is for the serious lacrosse player who wants to track and see progress daily. While it’s more expensive than the other lacrosse training gear counterparts we’ve listed, the Fitbit Charge is useful for when you’re not training too. You can identify patterns in your lax training to boost efficiency and maximize your progress. So while you might have a workout and practice in the afternoon, the Fitbit Charge will keep track of the calories you’ve spent all day so you can be sure to refuel with the energy your body needs. An awesome piece of lax training gear! The last but not least piece of lacrosse training equipment you may need. This balancing disc allows you to perform both 1 and 2 legged exercises on the grippy, unstable surface in order to strengthen your proprioception and stability as an athlete. The disc, when inflated correctly, allows your foot or feet to sink in and keeps your body working on the ever-changing balance while you perform your exercises. You can use it for single or double leg balancing, lunges, bodyweight squats, deadlifts and Romanian deadlifts, and much more. While performing your lacrosse exercises on the balance disc, your body has to constantly adapt to the changing body position in order to make you more stable. This directly correlates to the game of lacrosse since while running, your position is changing while you shoot, check, pass, and catch. Get to love you balance disc to strengthen your core, reduce physical instability, decrease back pain, improve posture and target your cardiovascular system. And if things get too much you can also use it to manage the element of stress. While all of these tools are incredibly useful for the lacrosse player the key concept is to adapt what you have access to in order to use it to your advantage. All of these tools listed above give you the coverage if the most critical foundations of any sport; strength, power, nutrition, and overall health. Training cones are a must for any coach out there who wants to setup some great lacrosse drills. You can use them to setup an “on-the-fly” lacrosse field, give your players some shooting spots, or to setup offensive and defensive drills. With lacrosse players on their feet throughout the game, speed and agility drills can do wonders to work leg and core muscles. Plus, training at a level equal to the game intensity will help increase performance and reduce the risk of injury. 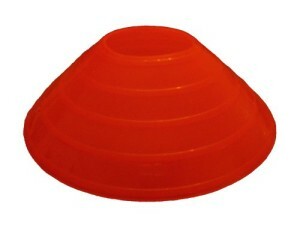 You want your training cones to be able to stack on top of each other for easy storage. You most importantly want them to be durable for indoor or outdoor use. The STX Bounce Back Pass Master Cover is a great way to begin to fine tune your lacrosse training –accuracy on passing or shooting. Clearly marked with orange targets, the cover slips over your existing rebounder and now gives you the ability to shoot or pass to clearly marked targets. Working on accuracy while on the run and thinking about rebounds is clearly the goal of the cover. The cover is secured by a bungee that loops around the back of the rebounder and universally fits most rebounders with the same 4’ by 3’ mat and frame. Only $$ on Amazon, the cover gets 4 stars and can help turn an average lacrosse player into a star in no time. So we did some research and tried out a few of the best lacrosse goal targets in the market. 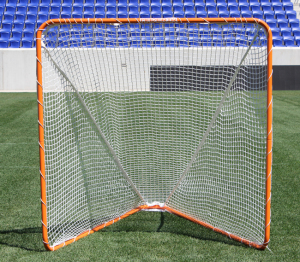 After this research, we recommend the Predator lacrosse goal corner target stopper. This delivers everything a lax goal target should by allowing you to produce more accurate shots and hitting the zones where goalies just won’t be. Using this as a practice tool, you get to focus on specific zones ideally corner and bounce shots and perfect accuracy. We are just very impressed with every piece of lacrosse gear guards and stoppers they have developed. 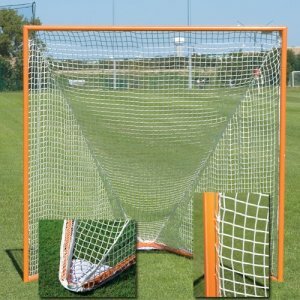 The reviews on the predator lacrosse goal blocker and defender are awesome, and even better than the Champion lacrosse goal targets out there.